When Jim Flaherty was Ontario finance minister, he predicted in 2001 that health care spending would increase to 60 cents on every dollar spent by the Ontario government within five years. The Tories were then spending 46 cents. Five years later it was a different government in power at Queen’s Park and Greg Sorbara was Ontario finance minister. Sorbara complained that 45 cents of every dollar was going to health care. He said the government had to get health spending under control. In 2010 Dwight Duncan said health care accounts for 46 cents of every program dollar the Ontario government spends and would consume 70 cents within 12 years. At the same time TD Bank economist Don Drummond went further, suggesting health care would inflate to 80 cents by 2030. In the next Ontario budget health care accounted for only 42 cents of government spending. While respected health economist John Evans was saying health care is as sustainable as we want it to be, the media largely ignored him and bought the government’s message. Part of this message includes overstating present spending. In November Toronto Star columnist Carol Goar echoed Don Drummond’s assertion that we couldn’t keep up the “current rate” of spending increases at 7.6 per cent. 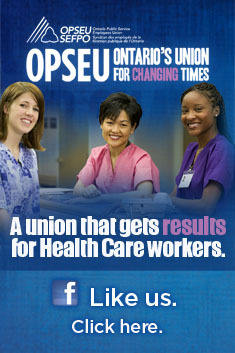 In fact, the 2011-12 budget pegged health care at a 5 per cent. That’s a substantial difference. Bingo! There is no question we have had governments that are more concerned with rewarding the wealthy with tax cuts than addressing the social needs of the province. Witness the reduction in the corporate tax rate at a time when the government is experiencing record levels of debt. Yet there has been no evidence to suggest corporate tax cuts have made any difference to job creation or economic growth in this province. If Dwight Duncan holds off on the last 1.5 per cent reduction in the corporate tax rate, it will hardly be a victory, but a crumb aimed at the growing awareness that government is playing a key role in the widening inequality gap. Canada’s level of inequality is growing faster than most modern industrialized countries, including the United States. The evidence doesn’t support this, but clearly she still doesn’t want to believe it. This entry was posted in Health System and tagged Carol Goar, Health Care Spending, health care sustainability. Bookmark the permalink. Some of that health care cost is being picked up by individuals as services/drugs get delisted eg eye examinations.So yes,it is eating some people’s lunches.